Android or IPhone? This has been a real dilemma for a long time. 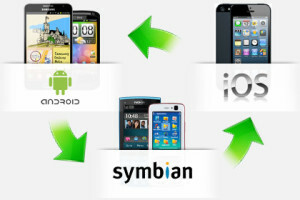 Even today it is, in fact there are people who switch from Android to iPhone and those who switch from iPhone to Android. In This article we focus on those who change phone from Android to IPhone X/8/7 (or earlier) and look for a quick and easy way to transfer all the data such as SMS, contacts, photos, music and videos. 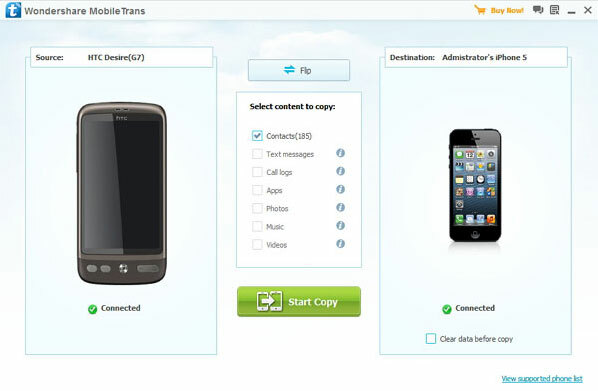 If you are one of them, there is good news for you: There is today a data transfer tool that can pass data (contacts, SMS, music, videos and photos) from Android to IPhone easily and quickly. His name is Mobiletrans. 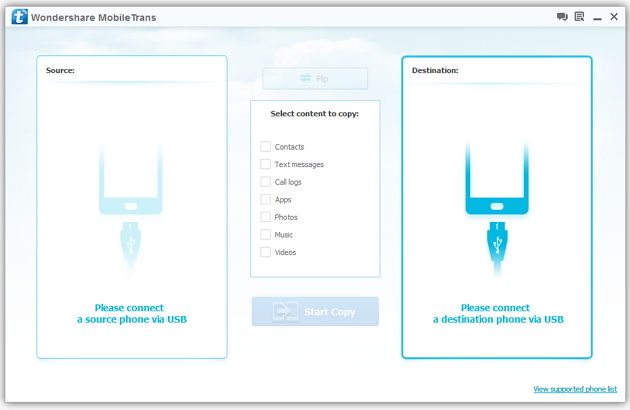 Follow the instructions below and you will discover how easy it is to transfer data from Android to iphone, or synchronize contacts from Android to iphone. Use the usual USB cables to connect both the Android device and the IPhone to your computer. Mobiletrans will detect them and display them in the program screen. On the left you will see the source phone (in our case the Android phone) and to the right the target one (the IPHONE X / 8 or earlier). You can click the “Flip” button to reverse their order.